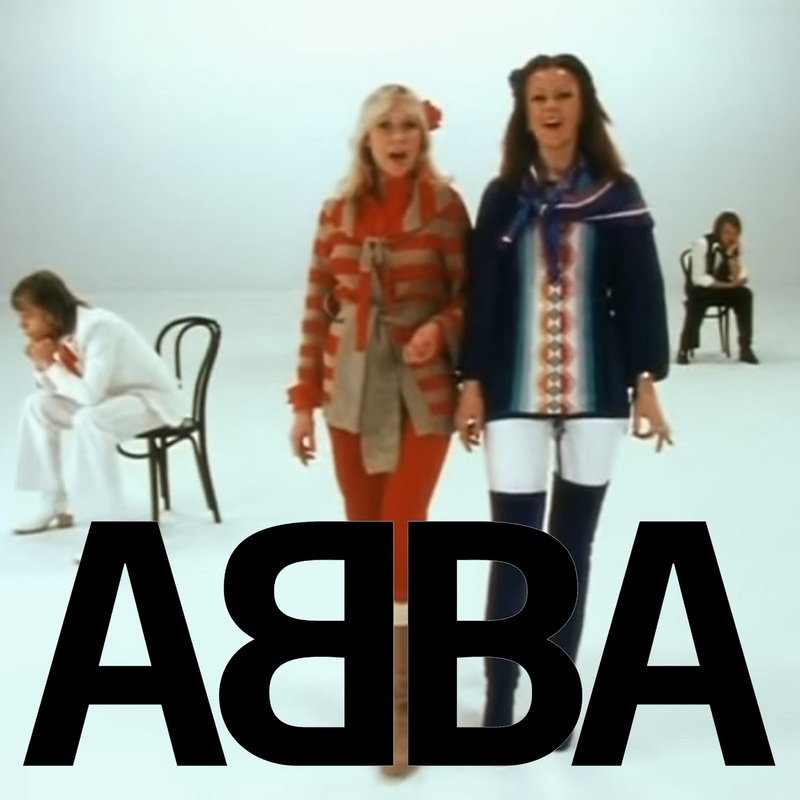 Tarek Chemaly: What does ABBA have to do with university lecturing? What does ABBA have to do with university lecturing? These days, I am going through an ABBA period. Yes, that ABBA. The two couples, who later divorced, Agnetha (the soprano blonde) and Bjorn (the lyricist and sometimes (though rarely) singer) plus Anni-Frid (or Frida the mezzo-soprano brunette) and Benny (the composer). Remember, since I was born in 1974 ABBA was a very popular group when I was a small child so by the time I was interested in music the group had disbanded, so they were never really on my radar. But with time, and especially recently, I am rediscovering their archive. The first glance would make you root for team Agnetha, the stereotypical Swedish blonde (and has a soprano voice to top it!) with a svelte body after two children with Bjorn and so on an so forth. He lead vocals on songs such as "The Winner Takes It All" or "Chiquitita" prove how high she can go or how good she can be at interpreting sad lyrics (interestingly, "The Winner Takes It All" was about a divorce, not her divorce from Bjorn even if it was released after the fact). But the more I watched ABBA, the more I realized that apart from the fact that the two exceptional singers could harmonize and blend their voices so perfectly (even live which is an exceptional feat for the two of them), Agnetha was less assured in her body movements, could use her voice perfectly in studio or on stage but was less able to be at ease away from the microphone. Frida on the other hand, was incredibly comfortable in front of the flashlights, could dominate a stage without even moving, and let's not even start with what she could do when she moved. Such as when dancing and singing side by side with Agnetha on "Take A Chance On Me", one could immediately see how much more relaxed and coordinated in terms of body movements she is or how powerful her stage presence was. She was so gracious that merely a week after her husband at the time (Benny) told her he was having a baby with his mistress, and while taping a live show for Amercian audiences she still found the guts to look at him while performing just because "the show must go on" and spectators had nothing to do with the breakdown of her marriage. Not only that, her crystal clear and earthy voice could be very versatile, from her lead in the melancholic "Fernando", to the deadpan irony of "Money, Money, Money", going through the bitter sweetness of "Super Trooper" to the bitter bitterness of "When All Is Said And Done" (which Bjorn wrote about her divorce from Benny) or the majestically uplifiting "I have a dream". Teaching as a friend told me long ago "is like show business, 10% is about the information, and 90% is how you deliver it". In today's world, students having to live by my draconian rules of no whatsapp, no eating, and no drinking in class start to experience withdrawal symptoms, they are not used to concentrate so long on a lecture. So the main task of a teacher today is actually to make the students focus on him, by the way he or she is delivering the info in question. And the more I watch ABBA videos (especially Frida) - be it live or in the studio - the more it hits me how much I apply this to lecturing. The "stage" is small, sometimes one can move sometimes one cannot, the info is there to be dispatched - but the mood of the class differs from one second to the next - so we must catch up with that too. The ability to convey complex messages all while keeping audiences entertained. Audiences who have paid expensive tickets to come and see you. It could be a concert ticket, buying or streaming a song, or a credit at university.